3701201 323HST JCB 323HST Compact tractor. Spare Parts Catalog. Service (workshop) Manual. Operator's Instruction Manual. 3701202 327HST JCB 327HST Compact tractor. Spare Parts Catalog. Service (workshop) Manual. Operator's Instruction Manual. 3701203 331HST JCB 331HST Compact tractor. Spare Parts Catalog. Service (workshop) Manual. Operator's Instruction Manual. 3701204 335HST JCB 335HST Compact tractor. Spare Parts Catalog. Service (workshop) Manual. Operator's Instruction Manual. 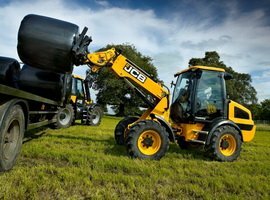 3701205 354 JCB 354 Compact tractor. Spare Parts Catalog. Service (workshop) Manual. Operator's Instruction Manual. 3701206 360 JCB 360 Compact tractor. Spare Parts Catalog. Service (workshop) Manual. Operator's Instruction Manual.